I believe the most important research I have read is from Dr. Goldsworthy (2007). Dr. Goldsworthy not only shows the mechanism by which microwaves disrupt cells but predicts that a genetically damaged sperm and egg can lead to mutant offspring maybe generations away. If you think of children with these transmitters near their laps, the question must be….. Why take this risk for the sake of a piece of wire and a plug? MP’s have tried many times to advise parliament of cancer clusters around transmitters. In one case there were 11 children under the age of 11 with leukaemia.xxvi This is the 4th cluster to my knowledge. I wonder whether the Children’s Actxxvii could be used to prevent illnesses to children  or keep Wi-fi from schools. I suggest that these decision makers read the documents of the NRPB (04) which states…..”account should be taken not only of peer reviewed papers but also of non peer reviewed and anecdotal evidence.” Appendix H p. 101. NB. All studies start from anecdotal evidence, e.g. smoking, alcohol, asbestos, BSE and aids. • Permanent low level microwave exposure induces chronic nitrosative and oxidative stress (Warnke 2005xviii). It is known that chronic nitrosative/oxidative stress damages the mitochondria, the “powerhouses” of each cell in the body. Mitochondropathy is at the root of many of today’s chronic illnesses, such as MS, Alzheimers, Parkinsons, Fibromyalgia, Diabetes, Artherosclerosis and Obesity. (Kuklinsli 2004xix). Even more disturbingly, when chronic nitrosative and oxidative stress is present, irreversible mitochondrial DNA damage will occur sooner or later (see also Kuklinski 2004 and Kremer 2003). The mitochondrial DNA is ten times more susceptible to nitrosative / oxidative stress than the DNA in the cell nucleus. Whilst regular cell DNA has in-built repair mechanisms, mitochondrial DNS is irreparable due to its low histone proteine content. The mitochondropathy is therefore irreversibly transmitted to the children by the maternal egg cell causing cumulative irreparable damage to future generations. 80% of the epidemiological studies on the WHO database show everything from sickness (microwave syndrome) to a fourfold increase in cancers from low level microwaves. I was curious to investigate the remaining 20% which showed no symptoms. A study from the International Agency for Research on Cancer, a panel of the World Health Organisation (WHO), which looked into has concluded that the RF produced by mobile phones is “possibly carcinogenic.” Importantly, the IARC working group, which included 31 scientists from 14 countries, did not conduct new research but reviewed available scientific literature on the topic. In an attempt to quantify this level of danger, the organisation has put handsets on a par with 240 other agents where the level of harm is uncertain. These include talcum powder, coffee, working in a drycleaners and, believe it or not, eating pickled vegetables. Putting, for the moment, this farcical comparison to one side, worries over the harmful effects of handset radiation have been around for several decades and no investigation–regardless of how thorough–has provided conclusive evidence to support the case that mobile phone do, or do not, cause cancers. The WHO is confident, however, when it comes to labelling alcohol, smoking and sunlight, among others, as being in Group 1–those agents proven to be associated with causing cancer in humans. The IARC has not helped dispel the many half-truths that cling to this debate by hedging its bets. The head of the IARC, Jonathan Samet, a scientist at the University of Southern California, said that some threads of evidence are telling the group how cancers might occur, but there are acknowledged gaps and uncertainties. However, the IARC report stated that there was no clear mechanism for mobile phone RF to cause brain tumours, with the radiation from handsets being too weak to cause cancer by breaking DNA, leading scientists to suspect other, more indirect routes. Needless to say, while this study seems not to have moved the scientific frontier on this topic any further forward, a sector of society has jumped on the key words “possibly carcinogenic” and demanded that governments and employers take immediate action. This call to arms, not surprisingly, often recommends employing the services of these bandwagon-jumpers to fight for the rights of mobile phone users, or to protect firms from being sued by their handset-equipped workforce. At a more objective level, mobile phones have been around for 25 years or more, with approximately 5 billion in use today. Surely, if there was a risk of these devices causing a health problem we would have seen clearer evidence by now–as against teams of expert researchers still struggling to identify the risk. So, I’ll keep using my handset, and take the risk of eating pickled vegetables. Mobile Phones More Dangerous Than Smoking? An influential European committee known as the Council of Europe has ruled that cell phones and wireless internet connections pose a risk to human health and should subsequently be banned from schools. The committee concluded that immediate action was necessary to protect the children from the potential dangers, releasing a report that acts as a call to arms. The decision comes after mounting evidence has linked mobile phones, in addition to electromagnetic fields, to a number of harsh health ailments. With such a powerful group calling for bans on harmful electronics, it is highly possible that it will not only become law in the European Union, but across the globe as well. In the committee’s report, parallels were drawn between mobile phones and previous items thought to be safe by the mainstream media community. The report warns against repeating mistakes that were made due to the slow medical recognition of toxic substances such as asbestos, tobacco smoking and lead in petrol. Studies, along with the backing of many experts, have generated evidence that cell phones may be the asbestos of the future — the sleeping toxic health giant. Going beyond mobile phones, the report also highlighted the dangers of common household electronics such as cordless telephones and baby monitors. Both pieces of technology rely on similar technology and have become commonplace among citizens of the EU and abroad. The report also discusses the numerous studies conducted on the health consequences of such technologies. Muscat also showed in another study that people using cell phones used six or more years of a 50 percent increase in the risk of developing acoustic neuroma, a benign tumor of the nerve, the hearing controls and extended have from the ear to the brain. Acoustic neuroma can cause hearing loss and can be life threatening if untreated. showed that an increase of mobile phone radiation also increases the likelihood of the adverse effect occurs. In Repacholi study in mice, the risk of lymphoma increased significantly the longer the mice were exposed to radio waves. -. 2002 cell biologist Fiorenzo Marinelli and his team at the National Research Council in Bologna, Italy, leukemia cells similar to continuous radio waves from mobile phones. The exposed cells showed a higher rate of death than the controls at first, but after further exposure, something strange happened: instead of more cells die, the cells were exposed to angry replication compared to controls. Genes trigger the cells to multiply were turned on in a high percentage of the cells. The cancer, although was beaten shortly become more aggressive. Marinelli suspects that the radiation damage the DNA can first, and that this with the biochemical signals in a way that interferes with release of the cells eventually grow faster. If the previous environmental issues will take with tobacco, asbestos and lead evidence, it will take years and decades to accumulate the amount of evidence that would make a final decision. In the case of smoking, it took two decades of study and the 100-year consumer use to meet enough data to research, gather to show the need for the U.S. Surgeon General’s warning on cigarette packs. 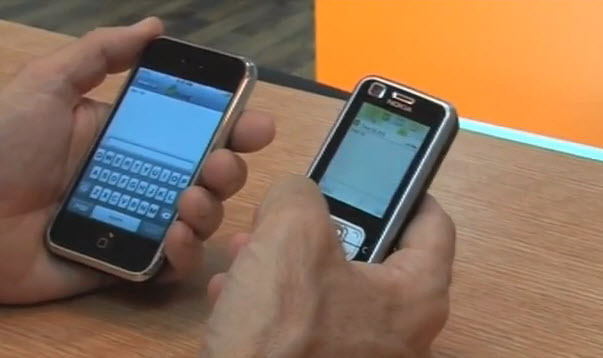 Some experts say that come in the case of mobile phones, it will not take as long as data at a faster pace. But in the present the authorities can only urge people to exercise caution. Replication of research is another problem. A study that comes with a new knowledge in general do not win immediate acceptance in the scientific community or the wireless industry unless another research laboratory was able to replicate the work and results. The industry has perpetuated their position in charge sent through the creation of an illusion follow-up by always calling for more research. When Dr. Salford’s study, published in 2003 shows that rat brain neurons were dying from exposure to radiation, cell phone, he warned there could be similar effects in humans, which could over time lead to degenerative diseases of the brain. His study was related to the industry as “novel” that needs to be replicated written. But achieving the scientific standard of replication can be complicated. Salford says if studies are not necessarily replicated and offers an apples to apples comparison, there is room to dispute follow-up results. Scientific research will require funding and the wireless industry, after Dr. Carlo revelations have been reluctant to put money into more comprehensive research. As with the government, again, many European governments are among the responsible course by funding research, but the U.S. and Canada are badly behind. In 1999, CNN’s Larry King once again featured a man who filed a multimillion-dollar lawsuit against cell phone manufacturers. This time man, a Maryland neurologist, was himself diagnosed with brain cancer – again on the side of the head, where he is on his cell phone. The suit was dismissed again, however, and the man died not long after. According to WHO report, 0.1 billion people from smoking in the 20 Century have died, and 10 times as many die in the 21st Century. No one is suggesting that mobile phones could be so many victims, but do we really wait, and where? Unlike tobacco, the mobile phone has become an indispensable part of our lives as television and computers. It has allowed us to communicate a gigantic leap in the way we were with each other and often do with saving the lives of the people credited in emergency situations. 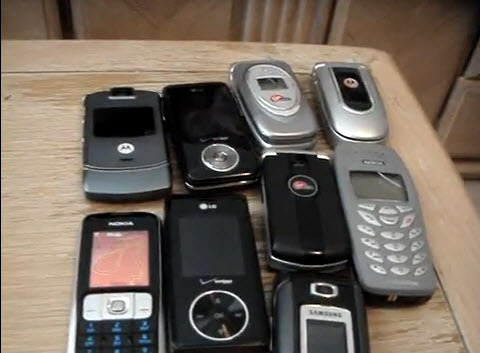 Cell phones are here to stay, and perhaps rightly so. The question is not how to stop people from using this ubiquitous device, but how to secure it. The first step is always to admit there is a problem, hence the industry and the government have to the health risks to confirm with current technology. So we can can all find the right solutions, the more we enjoy the benefits of their use, can not our health and well-being. It has become quite common to see people talking on their cell phones just about everywhere you go. And from all walks of life for mobile phone radiation hazard twittering. Recently cancer research experts concluded that surprising conclusion: Due to the use of mobile phone deaths will more than smoking victims. This is by far the most about mobile phone is harmful to health serious warning. There are also scientists say, the release of the mobile phone radiation in just five minutes can enough to affect brain cells and the division of the situation. It may trigger cancer. Mobile phone radiation cannot be ignored; cell phone radiation to the human body will bring which harm! Radiation is energy travelling through space in the form of waves or particles. It occurs naturally and has always been around. Direct brain warming after prolonged use, which disperses as soon as you stop using your phone and causes no harm; a recent study in Sweden suggested that acoustic neuronal are twice as common in mobile phone users than in those who do not use mobiles. As consumer concerns mount that prolonged mobile phone use could lead to problems ranging from headaches to tumors, a recent study showing an alarming rate of brain cancer in some cell phone users is helping swing scientific opinion in Britain. Mobile affiliate study by a French team is already believed to have lent further weight to the evidence, by showing that mobile phone radiation can promote leakage of the blood-brain barrier in rats. As a result, molecules that cause damage to neurons may be allowed to invade brain tissue. People using mobile phones for more than four years and longer than 30 minutes a day are at risk of developing hearing loss particularly at higher speech frequencies. . All we are saying that people should limit or curtail their usage and take measures like using ear phones. Mobile security problems plague the entire software stack — the baseband, the kernel, the application frameworks, and the applications — and carriers continue to resist shipping regular and frequent updates. Mobile affiliate network shows that why you have not heard much about the hazard of cell phone use. Just like the tobacco companies who stonewalled against the idea that cigarette smoking is harmful to health, the cellular companies are keeping cell phone dangers from being known. In the committee’s report, parallels were drawn between mobile phones and previous items thought to be safe by the mainstream media community. The report warns against repeating mistakes that were made due to the slow medical recognition of toxic substances such as asbestos, tobacco smoking and lead in petrol. Studies, along with the backing of many experts, have generated evidence that cell phones may be the asbestos of the future — the sleeping toxic health giant. Going beyond mobile phones, the report also highlighted the dangers of common household electronics such as cordless telephones and baby monitors. Both pieces of technology rely on similar technology and have become commonplace among citizens of the EU and abroad. The report also discusses the numerous studies conducted on the health consequences of such technologies. Cell phones work by sending out radio frequency radiation (RFR) to those wireless towers that are popping up all over the country. Those radio frequency radiation waves transmit through the antenna on your phone. Now, this antenna lies right next to your brain… it’s putting out these low levels of radio frequency radiation (RFR)… which is the exact same type of energy that comes off a microwave oven. A mobile phone is a microwave transmitter which can possibly turn into a cancer source (brain cancer). It can cause fatigue and provoke serious headaches. It can cause skin rash and also burning sensations. Read this carefully guys, the use of mobile phone can damage your sperm count! It also negatively influences the brain-blood barrier and weakens it against Virus and toxins. The growth of leukemia cells could be increased dramatically after exposure to mobile phone radiations. The ring tone can actually impair the sense of smell! Mobiles contribute hugely in the growing number of car accidents. Limit the time you spend on your cell phone. Use a phone design that moves the antennae away from your head. Don’t use your cell phone if the signal is weak. The phone shoots out more radiation to compensate for a poor signal. And more radiation means more exposure. Place pour mobile away from your body when you sleep. Don’t use your cell phone if the signal is weak. The phone shoots out more radiation to compensate for a poor signal. And more radiation means more exposure. Never use it while driving. Use headsets to call or answer calls, which actually will dramatically reduce the danger of mobile.